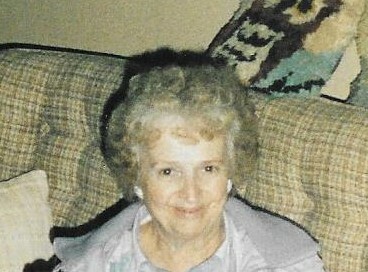 My dear mother, Doris L VanOrden of Bridgewater, NJ, went to eternal rest on March 30, 2019 as I held her hand while singing Amazing Grace to her. She went home to join her mother, Anne Mandell, her father, Milton Mandell, Sr, her husband, Martin VanOrden, Sr, her brother, Milton Mandell, Jr, her sister in law Eleanor V. Quinn and her daughter Deborah A. VanOrden. Mom raised my sister and I after our father passed away when I was 6 and my sister was 8. She did an amazing job and sacrificed so much, but my sister and I never went without. She was our Mother, our Father, our protector and our biggest supporter. Her heart was broken when she lost her daughter Deborah suddenly in August of 2017. Mom put up an amazingly strong, never wavering 10 year fight with breast cancer, and I was proud to be right by her side, during the tough times as well as the happy ones. She is and always will be my hero and I will miss her dearly. Friends may visit the family on Wednesday, April 3 from 9:00AM-10:30AM with a funeral service to be held at 10:30AM. Burial will follow at Lake Nelson Cemetery in Piscataway.